Ever since I started dreaming about our kitchen, I had visions of what it would be like, and what I might buy for it, when the time came. I’m a big fan of a warm country kitchen. I love to be bustling away in the kitchen at any time of year, cooking, and chatting to my family. And I wanted to create a space where I could do both of those things. Our kitchen before was old and drab and much smaller than it is now. But I loved it in its own way. Now, we’re almost there. While we’ve been living with our new kitchen for months now, I still need to do small jobs, such as touch-ups, and refreshing the skirting board paint. And then there’s the bigger jobs – such as sorting out the ceiling and painting our cupboard units Farrow & Ball’s Wimborne White. But that, believe it or not, as part of my maternity leave plans before this baby girl arrives. Providing that my mum might give me a few tips before I start – as she’s recently revamped her own kitchen this way and it looks lovely! For now, I’ve been adding finishing touches and stocking up on all of the items I’ve always dreamed of, but never had space for, or had the money to buy, as we were in the middle of saving or renovating. 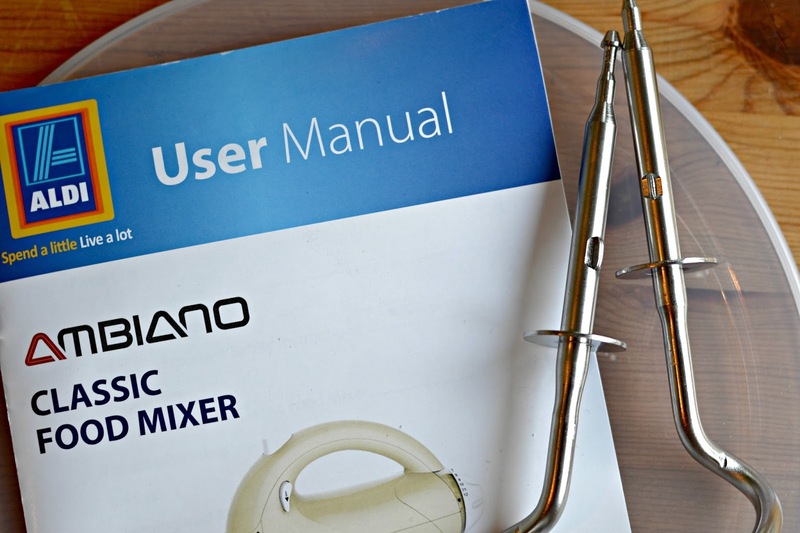 One of our latest additions is the Aldi Ambient Classic Food Mixer, which I was sent recently. And it was so exciting to open because, for £34.99, this is lovely, fits in with that country theme, works like a charm and it is much cheaper than equivalents out there. I shared it on Instagram and Facebook at the weekend and I had lots of comments asking about it, so I thought I’d do a post to tell you how I’ve found it. It comes in duck egg blue, red and cream, if you are interested in colour choices. I found it hard to choose, but I went for cream, as I knew it would always match and we also have a cream kettle and toaster too. I gave it a go at the weekend, when I made a batch of Slutty Brownies and it was brilliant. 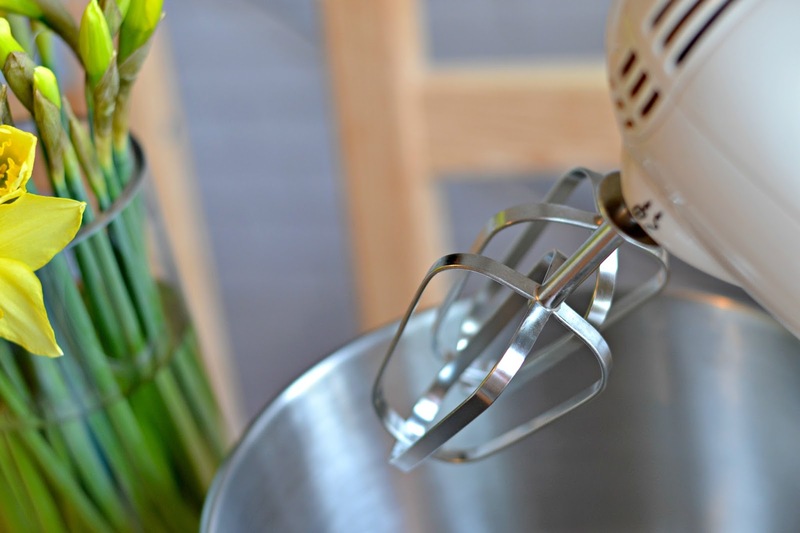 There’s a general whisk attachment, and then an extra attachment for dough, which is really handy to have if you’re a keen baker/cook like I am. The controls were simple to use and I was able to throw my ingredients in and let them mix, while my hands were free to fend off a nosey three year-old, and wash up a few pots. It’s much easier than using my old hand-held electric whisk, which is actually my parents’! One of my favourite additions is actually the plastic lid, so you can mix up a batter, or a mix, and pop it, sealed, into the fridge for later. Which is going to come in handy for things like Christmas Dinner, or when I have friends or family over and want to do a bit of prep the night before. Little touches like that make me happy. And it’s also a great way of storing attachments and instructions inside the mixing bowl, when not in use. 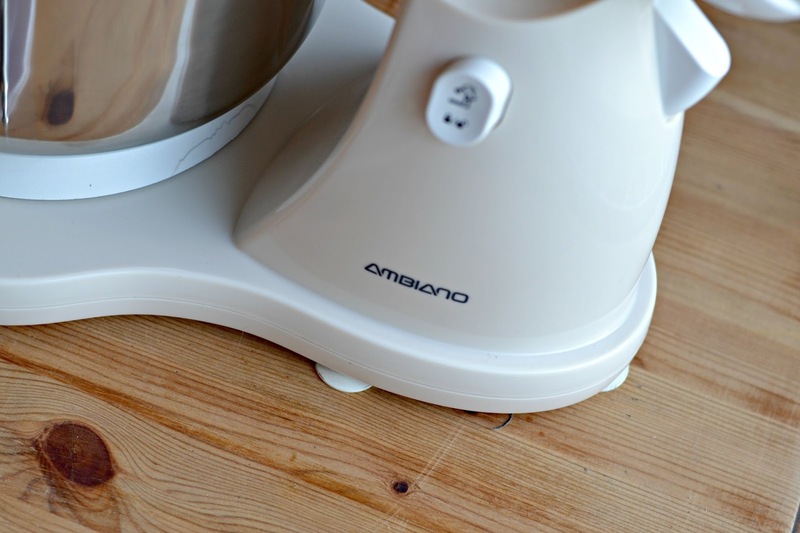 The Aldi Ambient Classic Food Mixer is available now in store, but I’d be quick if you want one, as stock won’t last forever! 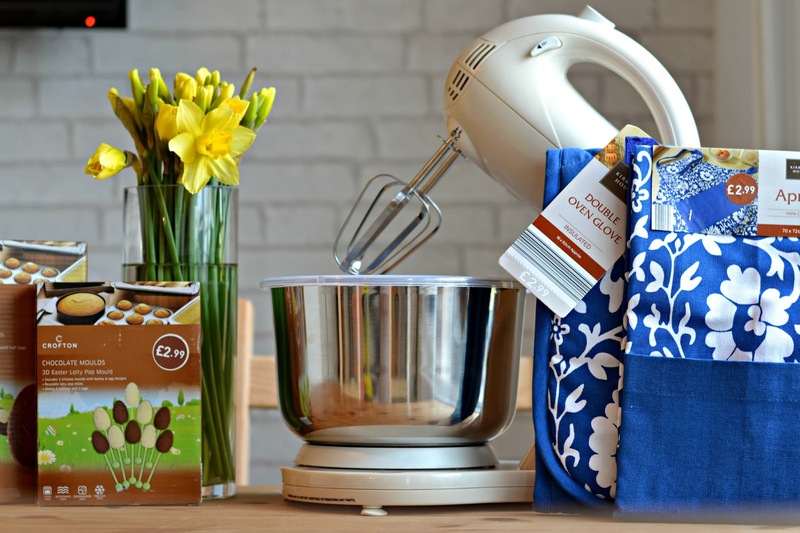 If you head there this week, there’s also some other little kitchen bits worth looking at, from aprons and oven gloves, and some extras for those making Easter baskets for their little ones (here’s what I put in my Easter Basket for Bill last year if you need any ideas). These easter egg moulds would be perfect additions and they are super cheap! I hope that helps for any fellow kitchen nuts out there, like me!